Europe will be more integrated in three years than it was three years ago. There will be closer cooperation in defence, in the energy sector, as well as in the digital and capital markets, for example. 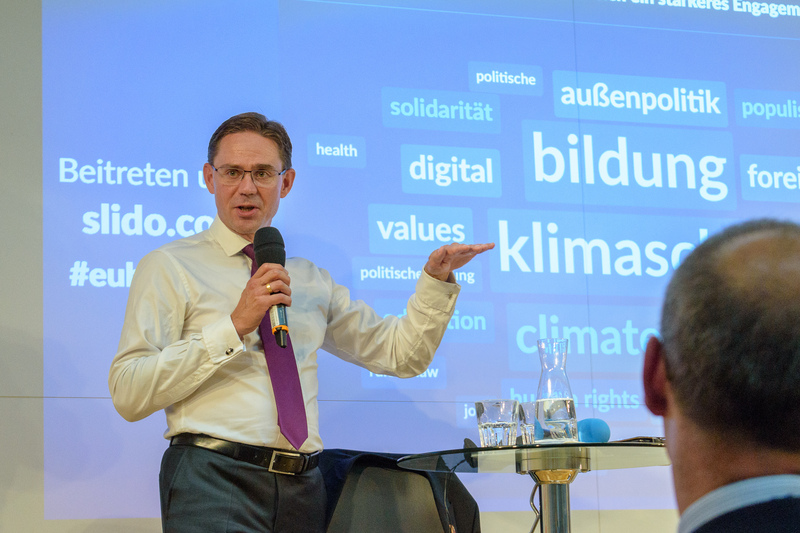 On 7 September Vienna hosted a Citizens’ Dialogue with Vice-President Jyrki Katainen. The lively discussion touched upon a wide range of issues, from the rule of law and respect of European values though circular economy and plastics to innovation, education, structural reforms and trade agreements, just to name a few. An opening vote among participants revealed that most participant wished to see more engagement by the EU in the areas of education, flighting climate change and defence. 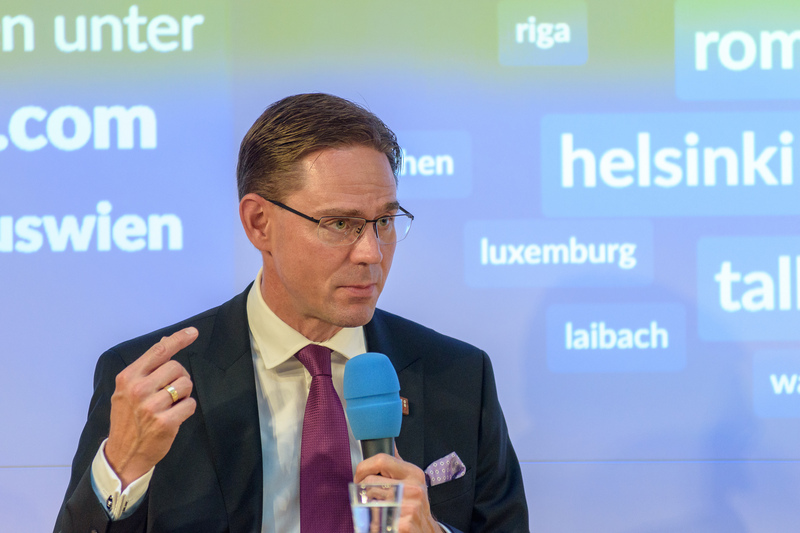 Vice-President Katainen confirmed the need of a common approach in face of global challenges such as the protection of the environment and the fight against climate change. Even if the policies are implemented by the Member States, the EU engagement has an added value, as progress is only possible if all the Member States share the same ambition in this respect, he said. Several participants in the room voiced their concerns regarding the lack of respect of the rule of law in some EU countries and were wondering whether the EU can motivate these countries to better adhere to common EU values. Vice-President Katainen acknowledged the challenge and agreed that the rule of law needs to be strengthened in the EU. He explained that the Commission proposed to link EU financial support to the respect of rule of law to ensure that European taxpayer’s money can only go where it’s used correctly, in line with European values. Talking about EU funding and the future EU budget, a participant wanted to know why the EU was not planning to spend more on supporting new technologies and innovation, while another participant was wondering whether there were any plans for an Africa development plan. In his response, the Vice-President explained about the EU budget and why it had to be reduced, but how it would still benefit all Member States to overcome common challenges, such as the protection of the external borders of the EU. He also explained about the Investment Plan for Africa, which aims to improve the economies of African countries. Remaining with the challenges, a participant voiced his concerns regarding the disconnect between the EU and the people, asking the Vice-President what the EU can do to better connect with the EU population. Another participant was curios how the Vice-President sees the future of the EU and the Member States. The Vice-President confirmed that EU needs to continue communicating openly and extensively, but stressed that national governments and members of national parliaments also need to take their fair share in bringing the EU closer to the people: the EU needs to exist in the national debates, he added.